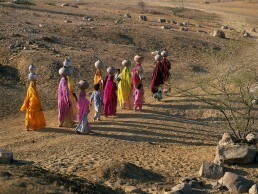 The tedious daily carrying of water is also an opportunity for women from Rajasthan to enjoy cheerful evening meetings at the well. One-third of women in Egypt walk more than an hour a day for water; in other parts of Africa, women spend as much as eight hours collecting water. 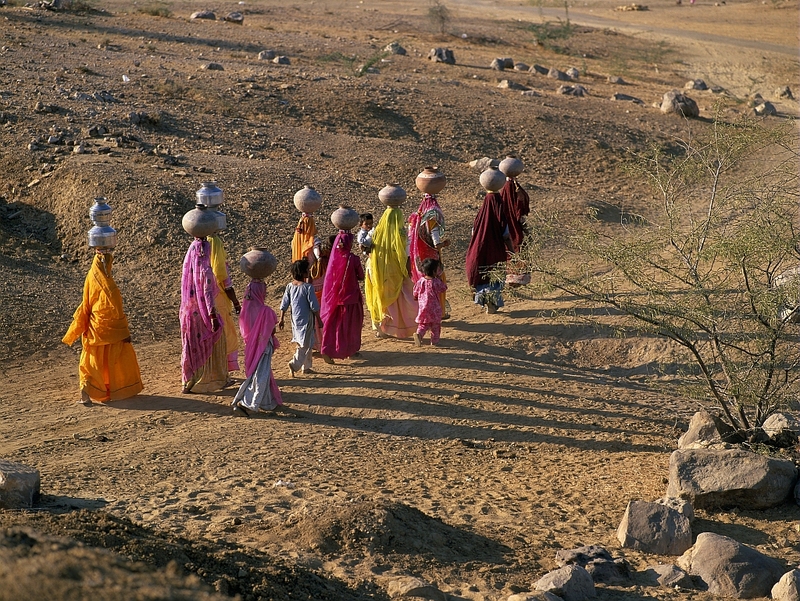 The average distance walked by women in Africa in search of water is 6 kilometers a day. In Africa, household water use averages 47 litres per person. In Asia, the average is 95 litres. In the United Kingdom the average is 334 litres per person per day and in the United States the average is 578 litres per person per day.